1. 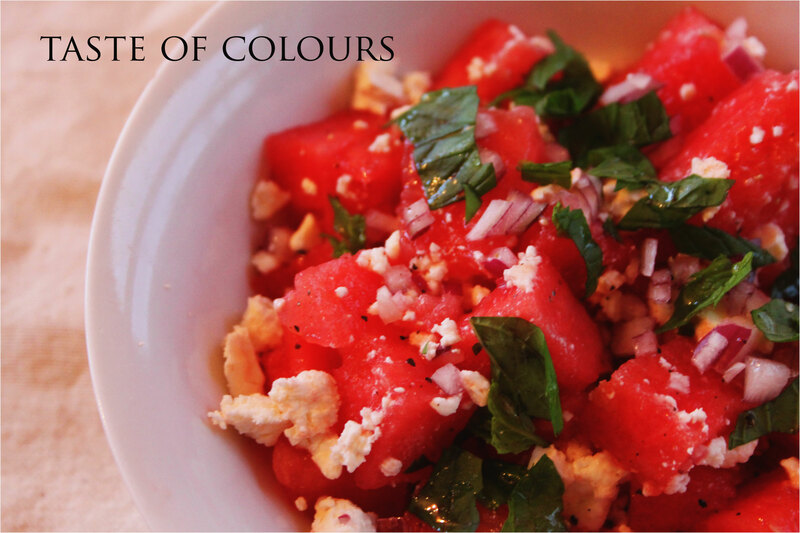 In a serving bowl, combine watermelon and feta. 2. Sprinkle with chopped fresh mint and chopped red onion. 3. In a cup, with a fork, blend olive oil, honey and lemon juice. 4. Pour blended mixture over salad and toss gently with a rubber spatula. Great salad! So refreshing and perfect for a hot summer evening! Favorite summer salad. Just no onion but some roasted pine nuts.